When your business grows to the point that you need to outsource your deliveries, don’t make the usual mistakes and errors new shippers typically make.Hiring a sub standard courier delivery service can be damaging for any business, but can be potentially disastrous for a fledgling business. Hiring the wrong courier for your goods can lead your clients to believe that your company, not the carrier, is inefficient and unreliable. By taking the extra time to research your choice of carriers, you can minimize the risk of hiring a sub standard company, and maximize the potential benefits of prompt efficient reliable delivery services for your business. We’ve put together a short list of tips you should really consider when searching for a courier company to carry your goods. Reputation and reliability. Ask the courier company to provide you with some references from their clients. Most companies will happily provide references, and if they don’t be wary. Courier companies come and go, try to find one that has been in business for at least 5 years to minimize the risk of signing on with a “fly-by-night” type operation. Services offered. If your needs are simply delivering a document from point A to point B, a courier may not be your best choice. There are bulk mailing companies that specialize in this. If however, you need items or documents delivered by professionals, with a chain of signature, tracking, specific delivery parameters and deadlines, a courier company is the way to go. Look for a company that provides a varied range of services, so you can maximize your efficiency while minimizing expenses. Company size and ability to expand and grow with your business. Be wary of the plethora of “one man” operations that abound in the courier world. While many of these individuals provide a great service, they can also leave you in a lurch when things get hectic or life intrudes. Many of these couriers are one breakdown away from a disastrous end to their career. Look for a company with a mid to large sized driver force. All reputable companies will be happy to provide details on their delivery capacity. Ordering and tracking options. While all companies offer traditional telephone order placement, consider what’s best for your business. Look for a company that offers a variety of order options, verbal, email, online etc. 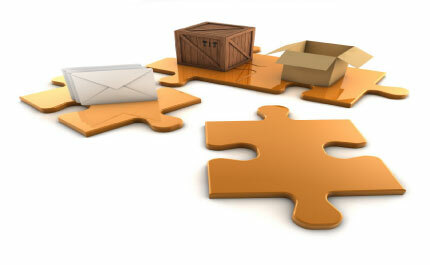 Consider whether you need online ordering, tracking, delivery confirmation, price quotes for special shipments etc. Price and volume discounts. Look for a company that is willing to work with you to achieve a price point that suits your needs. Please keep in mind, the lowest price does not always equate to the best service. Look for a company that will consider your needs and tailor their prices and services to YOUR needs. Using the above criteria, you should have no trouble finding a reliable reputable, and efficient courier service that can fit your needs, today and for years to come!